It’s that time of year, a time to refresh, restore and make over. Paint the bedrooms, perhaps new floor coverings in the living room, gloss the woodwork on the stairs, a few new accessories here and there. Voila, a fresh new feel to your home. But what about about a kitchen make over? Kitchens are no different to the rest of the home when it comes to needing a good make over, a splash of paint can often freshen things up, but what if you need something extra? Kitchens aren’t just places to relax, they are working spaces, for cooking, meeting spaces for chats, laundry places, eating spaces. You name it, the kitchen is a vital working part of the home in more ways than one. So when to comes to a kitchen make over the choices can seem limited and or very expensive. A entire new kitchen is often well outside the budget of a make over and sits in the box of of a total refurbishment, but there are a few options for an easy kitchen make over. Here’s a few tips for the easy kitchen make over. 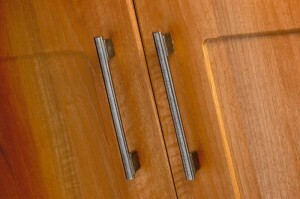 Changing the handles on existing kitchen doors can transform the look of a kitchen. Go for glass and ceramic knobs to provide a more country feel, or why not go for bar handles provide a sleeker feel to your kitchen. At Arley Cabinets we have a massive range of kitchen cupboard handles of all shapes, sizes and style. Take a look at our small selection we have available, if you’ve seen it elsewhere we can get it. Let’s face it sinks get a lot of use in a kitchen, they can soon become battered and jaded. A fresh new look can easily be achieved with a brand new sink and taps. Sinks come in all styles and finishes these days from shiny bright steel to porcelain and even plastic. Add to that a new set of taps with perhaps a mixer function or even a spray action trigger system, you’re sure to transform your kitchen in no time. Kitchen doors make a big statement in a kitchen. Old or dated kitchen doors and draw fronts instantly pull down the look of a kitchen. Changing them is often easier and more convenient than you may at first think. As many cabinets and drawers are standard size this means you can easily swap them for new ones in an afternoon. It’s often a matter of ordering the new ones, having them delivered and screwing them in place. 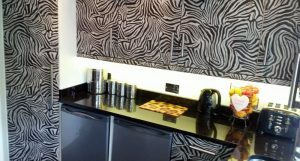 Arley Cabinets have a vast array of door and draw fronts of all styles to suit almost every taste from shaker style and traditional doors to contemporary high gloss doors, we’ve even fitted zebra print doors. Of course if these types of changes aren’t enough of a kitchen make over for you need something more we are here to help. We have a superb range of kitchen options to suit all budgets.